You are currently browsing the archives for the “Irish pub” tag. The 21st-century scop wears many hats. It’s not like the old days, when the traveling minstrel-storyteller showed up at the mead hall with a repertoire of poetry and epic tales uploaded to his personal memory. Today stories are delivered through books, films, digital downloads, spoken-word and musical performances. The most recent posts at this site have covered some of the former … now it’s time for the music hat. First, a few words about the actual hat (left). 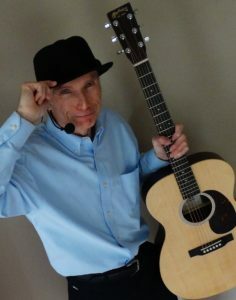 It’s what haberdashers call a stingy-brim, but what makes it special is the Shure microphone wired into its brim, a set-up that provides cushion from the mike’s wire clamp while freeing the singer from the tyranny of the mike stand. 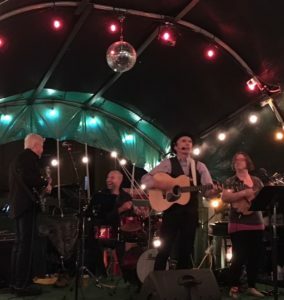 Last night, I got the chance to don the hat once again when long-time musical-collaborator Duane Davis joined me for a full-band show at Riley’s outdoor pavilion, adjacent to Riley’s Pour House, now in its fourth decade as Pittsburgh’s go-to place for music and Irish culture. In all, I can’t think of a better way to spend four hours on a Friday night. Duane and I have been making music for going on 20 years now, first teaming up in the late 90’s when we were backing my brother John in the John Connolly Band. 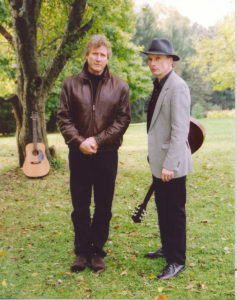 That band broke up when John moved to Hawaii (early retirement for a successful frontman), but Duane and I continued working together, teaming with Christopher Laughrey, another one of my longtime collaborators to form The Laughrey-Connolly Band in 2005. 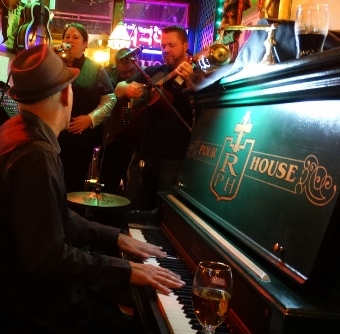 When Chris relocated to Denver a few years later, Duane and I continued collaborating, first by teaming up to create the high-concept instrumental CD Veins: The Soundtrack (released in 2008 by fantasy publisher Fantasist Enterprises) and to perform as a duo at places like Riley’s. Between us, we’ve created a lot of music over the years, and some of that music is making its way into the digital realm, becoming available for listening and downloading from a variety of sources. Tracks from our days with The John Connolly Band are available at John Connolly’s YouTube channel, where you might consider starting with the track “Ever Longed for Love,” an original that Duane and I both regard as one of John’s best. Also, if your into vintage vinyl, John’s first record Just Arrived is available from Craig Moerer Records. I understand the copies are in mint condition, and I can attest to the fact that the music remains as fresh today as if was when the record was pressed in 1977. But the really big news this weekend is the Bandcamp release of The Best of The Laughrey-Connolly Band, featuring twelve tracks (plus a bonus) from our out-of-print CDs Home from the Field and Two Seas. 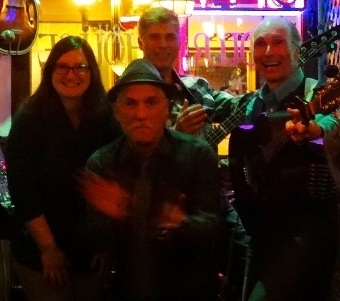 The tracks feature Lee McGinn on Drums and special guest Bob Banerjee (The Corned Beef and Curry Band) and production by Al Snyder (The Corbin-Hanner Band). If you like what you hear, consider supporting your friendly 21st-Century Scop and fellow collaborators by springing for a download. The tracks are far less expansive than a cup of coffee, and refills are free. I’ll be back next time with some updates on the forthcoming film Nightmare Cinema. 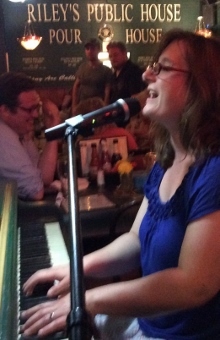 Until then, enjoy the music … and scop on! The Connolly Davis Band on Riley’s Outdoor Stage: Duane Davis, Eric Lamm, the 21st-Century Scop, Lauren Connolly-Moore. October 2017. 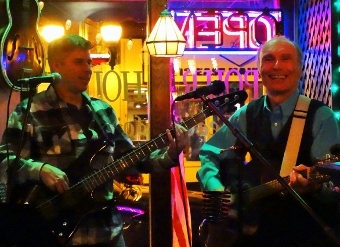 The 21st-Century Scop and Duane Davis perform with The Laughrey Connolly Band. March 2007. 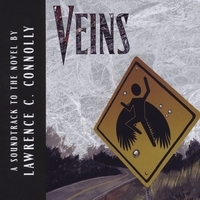 Cover art for Veins: The Soundtrack. 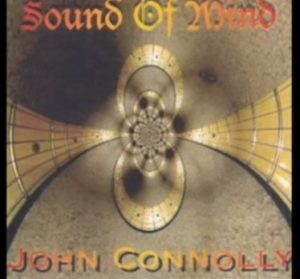 Cover art for John Connolly’s Sound of Mind. 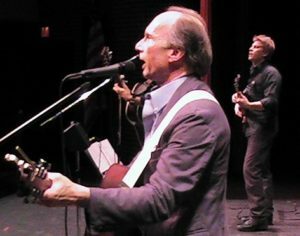 Christopher Laughrey and the 21st-Century Scop of The Laughrey Connolly Band in 2005. Powered by WordPress and delivered in 0.396 seconds using 41 queries.